The Digital Place-based Advertising Association (DPAA) announced Tuesday that Barry Frey has been hired as the organization’s new president and chief executive officer. Frey is a long-time media and marketing visionary with extensive leadership credibility in building interactive, television and other and cross-platform media businesses for marketers. He succeeds Susan Danaher, who resigned from the DPAA to accept a position at Adspace Digital Mall Network. 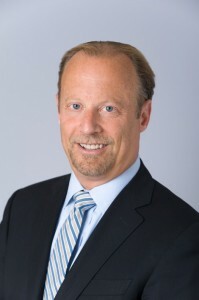 Frey most recently was a senior advisor at Sonenshine Partners, a New York-based investment bank that provides integrated strategic and financial advisory services. Frey worked with clients in the television, digital and advertising categories, helping them develop successful growth strategies in a rapidly changing business landscape. These clients included Active Video Networks, Microsoft, The Weather Company, Vme Hispanic Network and others. Before joining Sonenshine, Frey spent more than seven years as architect, marketer and chief revenue officer for Cablevision’s digital and advanced advertising business. As executive vice president, advanced platform sales, he oversaw the company’s digital transformation of advertising sales. He led the creation of new revenue streams by building what was widely credited as the leading advanced TV ad business in the U.S.
At Cablevision, Frey also built and ran the company’s Internet and mobile sales operations. He brought to market an array of digital TV and Internet products including branded content, dedicated ITV and VOD advertiser channels, household addressable television plus a plethora of rich data, analytics and robust optimization tools. His leadership with internal teams, senior level ad agency colleagues and marketers led to many notable and newsworthy advertiser partnerships with companies including Disney Vacations, U.S. Navy, FX Network, Mars, Inc., BMW, Unilever and Sony Corporation. Earlier, as managing director international sales and business development for USA Networks, Frey created some of the first multimedia advertiser agreements in U.S. advertising and helped launch syfy.com. In his international role, Frey built the global sales and marketing infrastructure for the networks. He was a key member of the launch teams for domestic and international channels and oversaw sales and marketing teams around the world. As senior vice president media for the National Basketball Association, Frey drove the TV, print, radio, Internet businesses and marketing partnerships while reporting to NBA Commissioner David Stern. Frey serves on the board of the International Radio and TV Society. He frequently speaks on the future of media, advertising and television at conferences in the U.S. and in Europe, including The Future of TV Advertising Forum (London), TV of Tomorrow (NY, SF), The On Screen Summit, VOD Summit (NY) and The International M & A Summit (NY). This entry was posted on Tuesday, May 21st, 2013 at 18:18 @804 and is filed under DailyDOOH Update. You can follow any responses to this entry through the RSS 2.0 feed. You can leave a response, or trackback from your own site.